by Ronald V. Miller, Jr. Car collisions can be terrifying, stressful events and cause both personal injury and property damage. There are 16,000,000 car accidents (no typo there) a year in this country. There are more than 4.5 million automobile accidents that resulted in property damage and 1.7 million crashes that resulted in personal injuries. The sheer number of collisions, the varying results, and complex outcomes all contribute to many misconceptions about car accidents. What’s important to remember is that if you suffered an injury as the result of a car collision, you should contact a personal injury attorney. It can be us at Miller & Zois or another attorney. But if you have been hurt, you should be talking to someone to make sure you understand your rights and options. 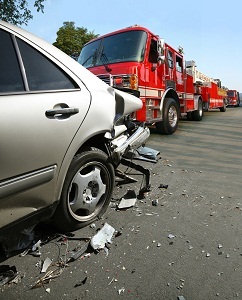 Here are a few misconceptions about car accident cases and what you should do instead. I’m getting another case ready for trial where I have to explain honest and consistent statements given in good faith to the insurance company that their lawyer is not trying to take completely out of context to make them stand for something very different than I originally contemplated. The answer, as always, is don’t give a recorded statement to the at-fault carrier. This rule should be followed in 98% of the cases I have prepared where a statement was given. One thing I have been trying to do with our blogs is to give our readers an opportunity to hear from other lawyers. Today, I have another guest post from Anthony Castelli, a personal injury lawyer in Cincinnati, Ohio. You can learn more about Tony’s practice here. Tony is writing about a topic that is both near and far from my heart: jury selection. I say near to my heart because it is so incredibly important. Sadly, we probably have the most most restrictive voir dire in the country. That may change soon. But I doubt it. Tony also has some interesting commentary about trying to use the suggestions of other lawyers and trial consultations, most notably David Ball whose work we have written about a great deal. This is a guest post by Anthony Castelli, a car accident personal injury lawyer in Cincinnati, Ohio. A car accident attorney’s primary job is to put as much money as they can in their client’s pocket. It does not benefit the client that has serious injuries and damages to get a large settlement, but after the attorney’s fee, expenses of preparing the case, and payment of medical bills and subrogation claims, there is little left for the client. The old adage “it takes money to make money is also true.” The good personal injury lawyers know that in most cases they will need to pay a doctor for a comprehensive report detailing the nature and extent of the car accident victim’s injuries, how those injuries will affect the client in the future and the cause of the injuries. This helps drive the car accident settlement amount up, in some cases substantially. I remember learning about spoliation in law school. I never imagined how frequently these issue would affect my law practice. Particularly in truck accident case where defendants seem to lose everything imaginable. Spoliation, for non lawyers and new lawyers, is when the defendant purposefully or stupidly destroys evidence that it knows or should know would be relevant evidence at trial. Under Maryland law, there are many means to deter, penalize, and ameliorate the prejudicial effects of spoliation. The most common weapons, evidence sanctions, and/or corrective jury instructions, are available to Maryland trial judges as remedies to deal with acts of spoliation. These judges have wide discretion to deal with these parties that destroy evidence. When working up a serious truck accident case, the experienced truck accident attorney starts with a complete background check on the truck driver that you believed caused the accident. Nothing you find is going to be admissible against the driver. Having an awful driving record is generally not admissible in plaintiff’s case-in-chief against the driver. But such information may very well be admissible against the trucking company in a negligent hiring/training/retention/entrustment case. There is one other way to get bad, prior conduct from the defendant truck driver into evidence: let him (usually him) lie about it. A lot of truck drivers that I have deposed don’t come prepared to tell the entire truth, and in spite of the fact that the case is about someone they killed or seriously hurt, they assume the plaintiff’s lawyer has not done their homework and they can fudge history a little bit. This can make a mountain out of a molehill. Another place you find the truck driver failing to tell the truth is during his criminal trial. You can sometimes find outrageously good nuggets in the transcript when the truck driver was doing anything he could to avoid a conviction. If you have clear lies under oath, the jury is going to assume – probably correctly – that anything the truck driver says at trial may be a lie. More and more police departments in Maryland are joining the rest of us in 2012 and making car accident police reports available on line. Calvert County police reports for car crashes will generally be available within 5-7 business days after the date of the accident. This is that rare development in car accident cases that is a win-win for everyone: car accident lawyers, insurance companies, and the drivers themselves can get police reports with much greater ease. To get an accident reports in Calvert County, go to their website. The family of a promising young man, who was killed while riding his bike by an elderly driver, is opposing a bill that would allow drivers to hold a license for eight years, instead of the current five year renewal requirement. Sad story here. The driver, an 83 year old woman, was attempting to make a right turn, and turned into the path of the bike rider. The mother of the deceased is lobbying to keep legislators from increasing the span that drivers can go before renewing their licenses, and has said that eight years is too long for people over 40 to hold a driver’s license without some kind of regular testing. She has stated that the law is going in the wrong direction, and that it is not going to make our roads safer. As I’ve written before, we spend a lot of energy trying to track down defendants. Not in most cases, but when we can’t find someone with relative ease it can be a big hassle. In 2012, people are moving more quickly and leave fewer tracks when they move. One effective weapon we have used over the years is Accurint which provides access to over 34 billion current public records that you can utilize to find your man or woman. Accurint’s target audience is insurance companies where they market their ability to validate claims and combat fraud, waste and abuse. But plaintiffs’ lawyers use it too. What you do not want is the insurance company having more information about your client than you do. Yes, sometimes our clients do not tell us the truth. But, more often, they forget prior claims. Either way, the failure to provide accurate information about prior legal claims you have made in interrogatories or deposition can be fatal to your case. Have You Located Your Incarcerated Witness Today? We’ve all been through it before…trying to locate either the defendant or the “friend of a friend” who was with our client at the time of the accident. When this person appears to be absolutely nowhere, it is worth checking out whether this defendant or witness is a guest of the state of Maryland. Thankfully, people in jail are relatively easy to find. All but 8 state departments of corrections – including Maryland – makes available to the general public, information and photographs of inmates who are incarcerated. While originally created in the interest of public safety, it has become a tool in which witnesses have been located. There is no charge for these inmate locators, and new states are being added as they become available. You can chose the state you want to search and it will take you directly to their inmate locator. Some states will show pictures, release date, crimes, etc. while others will only list their age with no photo. You have located your incarcerated witness, now what? If your defendant is in jail, you have an easy means of obtaining service of your Complaint. If you are trying to find a witness to the accident you can arrange a meeting and can videotape the inmate’s trial testimony by videotape. This can usually be set up by contacting their caseworker, though every detention center is different. In most cases, you will need the warden’s permission, as this process will bring in a lot of outsiders (all counsel, court reporter, videographer, etc. ).